These window boxes (liners) are ideal as stand alone planters or more typically used as liners inside of our iron and aluminum cages. For use as a window box, our 10" iron brackets are ideal for mounting to walls. We use galvanized steel to craft each box and then powder coat each for superior paint protection year after year. 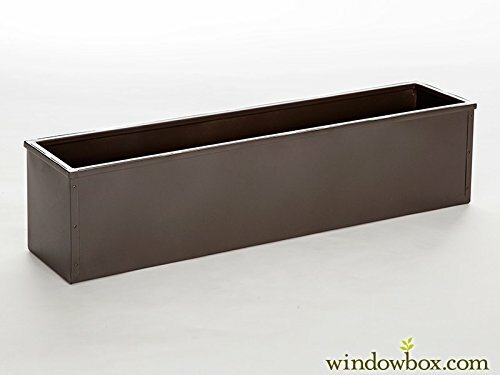 Galvanized window boxes can be used in multiple ways around the home. Put them in a window box cage and hang outside your window or simply hang as is for a more simplistic look. These planters can also be used in other outside spaces and can be placed along the ground for a gorgeous container garden.